Blessed with one of the best climates on the globe and an abundance of wildlife, South Africa has always been a leading safari tours destination for international visitors. While the Kruger National Park is the flagship national reserve and one of Africa’s oldest conservation areas, there are plenty of hidden gems off the beaten track waiting to be explored by discerning safari-goers. These roads less traveled lead to exclusive villas and 5-star lodges hidden in pristine private reserves. 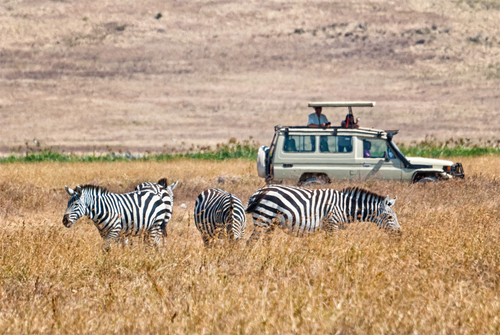 There’s no need to sacrifice comfort and world-class service when one goes on safari. These secret spots have everything to offer from unbeatable landscapes to unforgettable game viewing. This Kalahari diamond is the largest reserve in the country, created by the infamous diamond mining Oppenheimer family. Forget the image in the mind of the Kalahari – it’s no desert. Think rolling grasslands with warm, encompassing hues both in summer and winter. Both cheetah and lion thrive in the region, as do black rhino, arid-area antelope and even the rolled-up armadillo and long-snouted aardvark. Indulge in spot-lit night drives here or go for an all-day exploration, horseback safari or rhino tracking adventure. Tswalu is a malaria-free area perfect for a family getaway or romantic honeymoon. The mystical Karoo expands a large portion of the Eastern Cape and has certainly found its mark on South Africa’s safari map. The area is also malaria-free and offers some of the most unsurpassed mountain scenery that will leave visitors in awe. The Karoo is home to blue cranes, buffalo, the rare mountain zebra, white rhino and cheetah, so don’t forget the camera. Located at the top of the stunning Garden Route, the Karoo reserves promise never-to-be-forgotten safaris for both self-drivers and family groups. We highly recommend hiring a private coach charter service or Chauffeur sedan service in Cape Town, exploring the coast at your own pace and then taking in the best game viewing around. Set in the transition zone between South Africa’s wet east and arid west, visitors can take in the mountains of the Waterberg – a listed UNESCO biosphere reserve. The savannah grasslands are food for the grazing antelope along with rhino, giraffe and elephant. Predators in the region include leopard and lion and thanks to them, the region has become home to the largest colony of Cape vultures on the planet. More than 800 of the majestic creatures patrol the sky. Remember to bring along a pair of binoculars. It’s a mere four drive from Johannesburg’s OR Tambo Airport to the Waterberg and the area is malaria-free, making it perfect for families. The off-radar location is also ideal for discerning travelers who prefer a game viewing experience without the crowds. There are several private lodges right in the heart of the National Park which make for top quality accommodation and world-class service. These are just a handful of the hidden safari gems in South Africa. Home to the Big 5, temperate climate and top-notch service and accommodation make South Africa the perfect location for a 5 star safari with the family or a romantic honeymoon, complete with luxury camping and a variety of game viewing experiences. Any time is a good time to visit South Africa – winters are warm and dry, running from June – October while summers are hot, usually with afternoon or early evening showers and some of the most majestic electrical storms. Get in touch with our tour consultants to pick the perfect trip.